This silk is woven for us in Como, Italy by one of the oldest and finest silk weavers in all of Europe. They are still using traditional manufacturing techniques and wooden looms that are about 100 years old. Our ties are entirely hand made from the cutting of the fabric to the sewing of the bar tacks in a small workshop in Como, Italy. This family business is around since more than half a century and has already been working for a number of well-known brands. Each tie is constructed as a 3-fold with hand-rolled hems and a pure wool interlining. 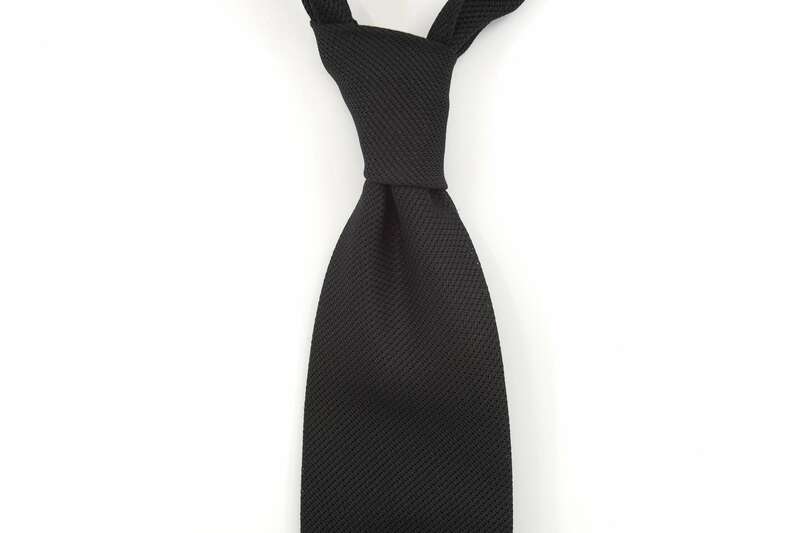 The classic tie is between 8 cm (3.15″) and 9 cm (3.5″) wide. We recommend 8 cm width for everyone wearing a size 46, 90, 23 (36 S/R/L) or smaller. If you’re wearing a 50, 98, 25 (40 S/R/L) or bigger you should choose 9 cm width. If you’re a 48, 94 or 24 (38 S/R/L) you are spoilt for choice. 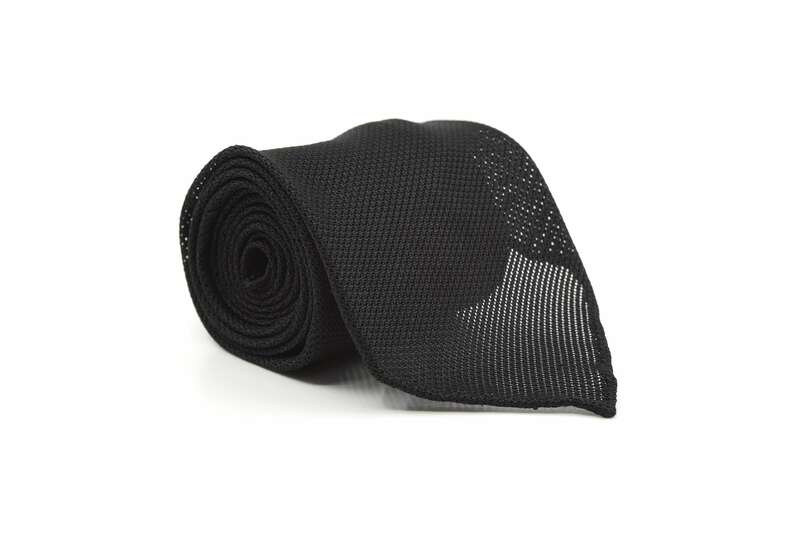 We do not recommend any ties slimmer as 8 cm as it limits the ties ability to create a nicely dimpled knot. Usually, ties measure from 145 cm (57″) to 150 cm (59″) in length. However, many men need longer or shorter ties. The length of the tie is not only defined by its wearers’ height but also by circumference of his neck. To determine your required length measure one of your existing ties from tip to tip. 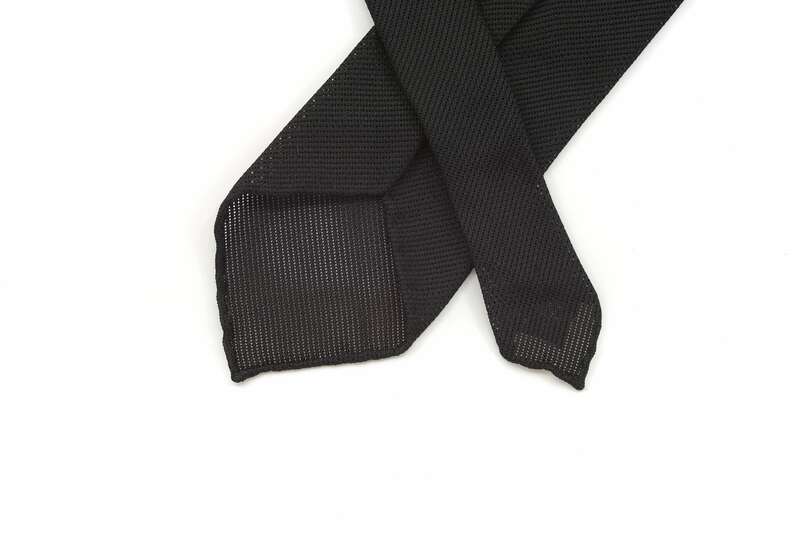 Tie the tie until its wide tip is the proper length and ends right at your trouser waistband. Now measure the distance from the ties skinny tip to your trouser waistband and either add or subtract it from the total length of your tie. We offer four different lengths from 140 cm (55″) to 160 cm (63″). Sign up for notifications about special offers, business insights, style hacks and a lot more.